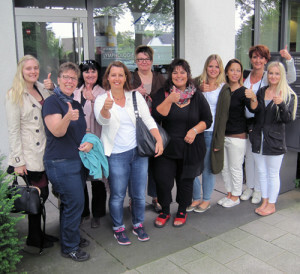 Time to adapt your physical activity and dietary habits to the challenges of the Menopause, induced by hormonal changes. Wisdom, goodness and serenity may grow as you get older, but the same isn’t true for many of your hormone levels. During Menopause, lower levels of oestrogen have a big impact on a women’s well being. Menopause isn’t a one-size-fits-all event. It affects each woman differently. Some woman reaches natural menopause with little to no troubles, others have severe symptoms. Psychological uneasiness, vulnerability and stress symptoms as well as physical discomfort, as hot flashes, night sweats can be difficult symptoms to cope with. Many women are affected by faster weight increase. For middle-aged women, what used to disappear after a few days with a bit of sport and self-restraint when eating, suddenly presses very stubbornly against the waistband of their favourite jeans. In this phase of women’s live, overall metabolism slows down and the production of female hormones drops significantly. This results in unfamiliar fat deposits on problem zones, thighs, stomach and buttock, especially if there is no change in diet and activity levels. Attempting to combat this stage with sport is often successful in the wrong places. Fatty tissue on the bust and upper arms disappears more quickly than on the stomach, legs and bottom, leaving behind flabby skin that no longer wishes to adapt to the new shape. This is because connective tissue loses elasticity without cease during menopause. To crown it all, water deposits cause some women’s bottom and legs to swell and set off even slight cellulite in an unsightly manner. 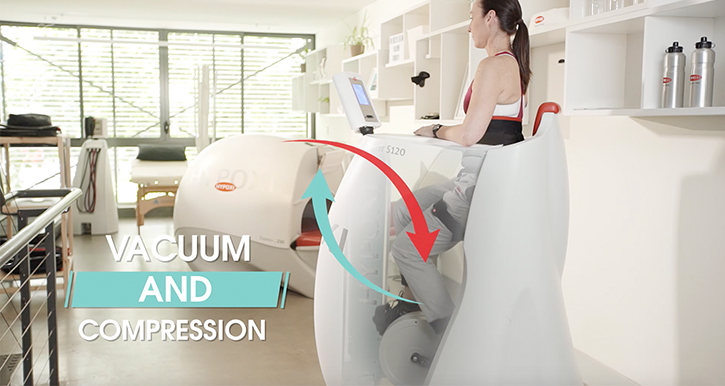 This is where the HYPOXI-Method comes in, which tackles stubborn problem areas in a targeted fashion. 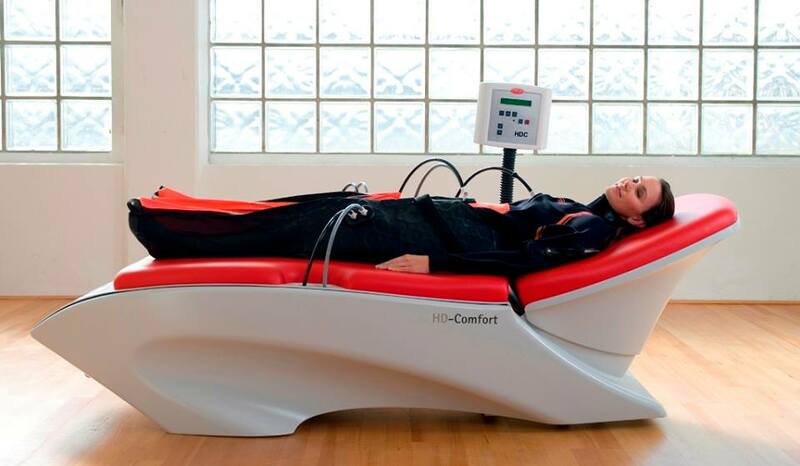 An innovative combination of compression and vacuum treatment with moderate fat-burning training stimulates the circulation of the blood to problem areas and activates metabolism. Fatty acids are thereby taken away and burned more quickly and effectively by the circulatory system. 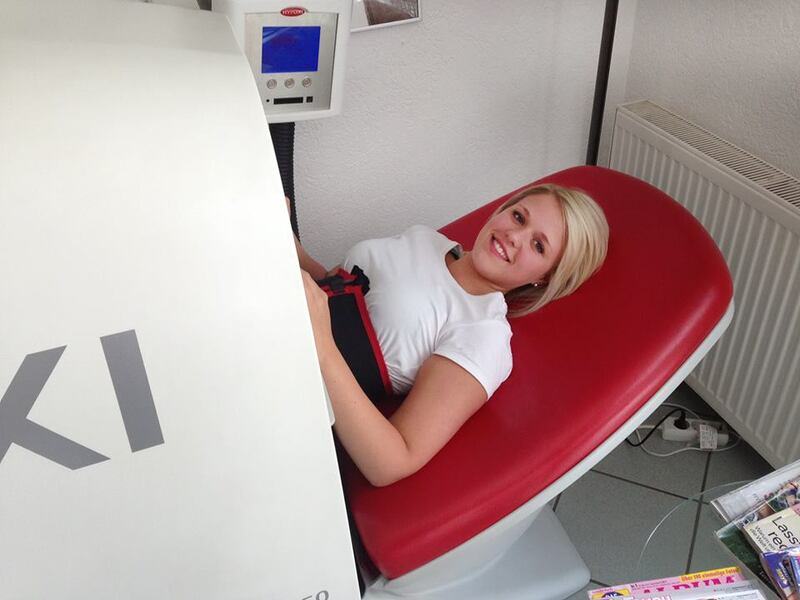 Four different HYPOXI devices offer appropriate natural treatment for every problem area. 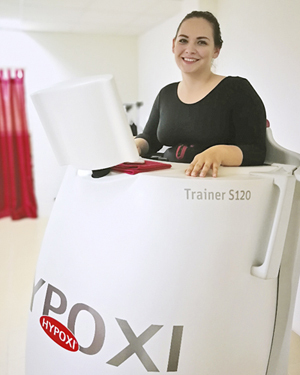 The HYPOXI-Coach puts together an individual training plan for every user, designed according to their situation and objectives, also giving tips on maintaining a healthy diet.